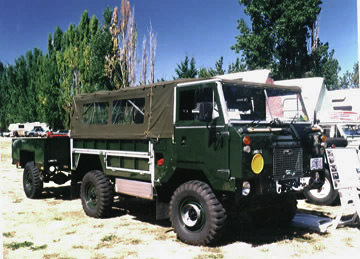 1975 Land Rover 101 with powered trailer. This 101 had just recently completed a restoration. This 101 also has had the distintion of being put up for sale several times since this photo was taken.